For Easter this year, we've been doing OhAmanda's Sense of the Resurrection. We did her Truth In the Tinsel for Advent last year (and the year before) and loved it, so when Sense of the Resurrection came out, I had to have it. 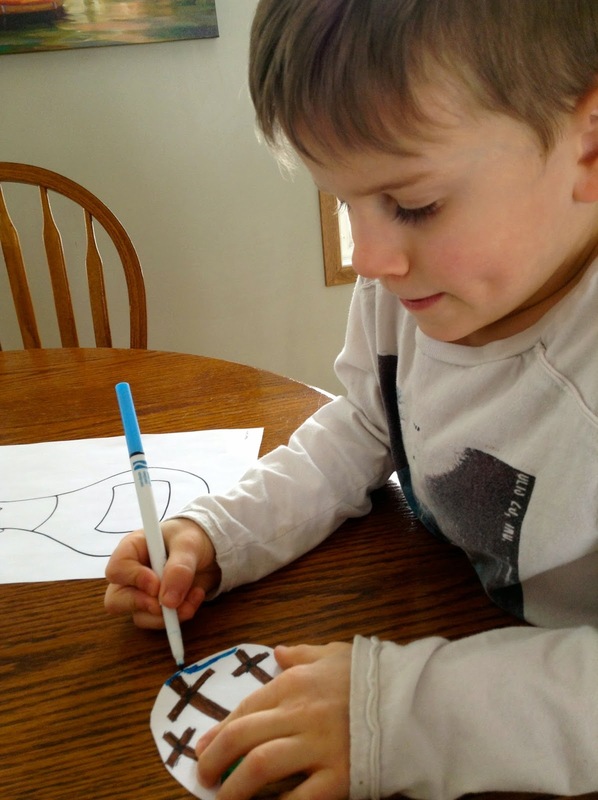 If you keep checking back you'll see the different activities we'll be doing from her ebook throughout the Lenten season. 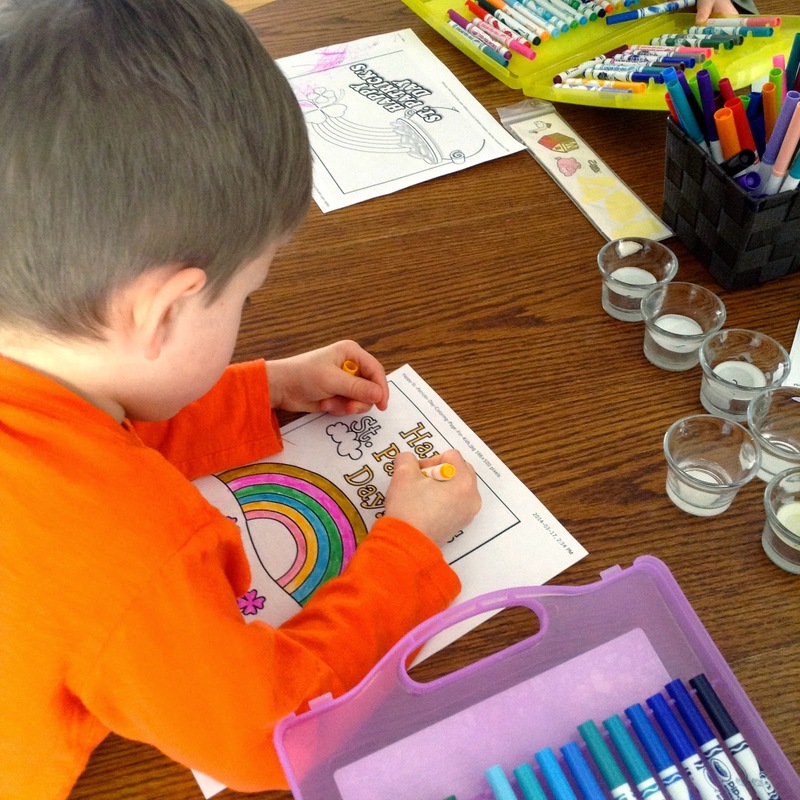 There are 12 bible stories with 12 go along activities. I have it worked out so that we'll do 2 stories and their activities twice a week for each of the 6 weeks leading up to Easter. The first story is from John 12:1-8, where Jesus is anointed with perfume by Mary in preparation for His death and burial. The boys crafted while I read the story to them. They tend to listen better when they're moving around or making something. 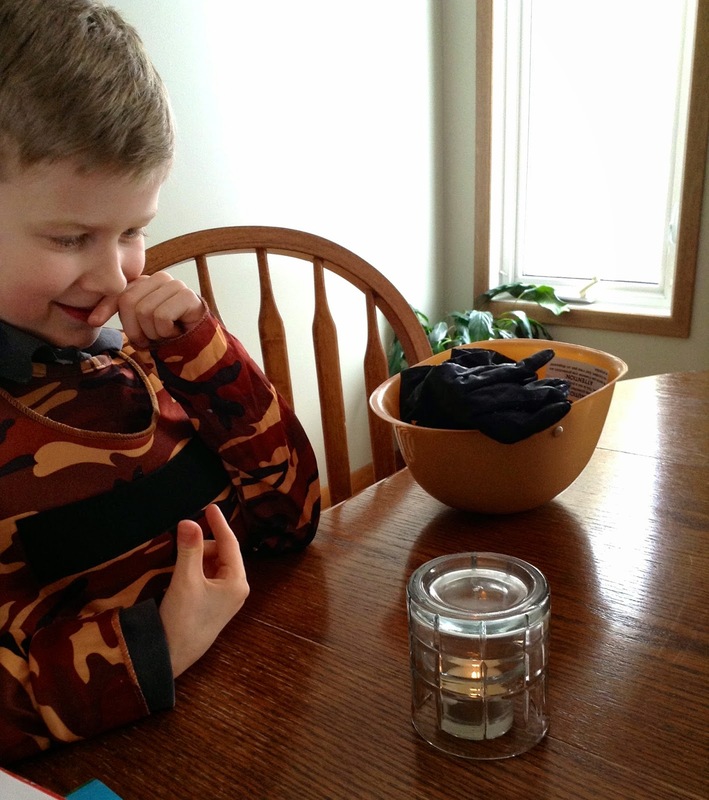 The perfume bottle you see Abishai covering with tissue paper is an add-on of my own, and isn't a part of Sense of the Resurrection, but the perfume bottle that Micaiah is working on is. The idea is that every time you smell the perfume soaked up by the reeds, it reminds you of the story and helps you remember to thank Jesus for dying for you. The boys both had one in their room and it smelled wonderful! 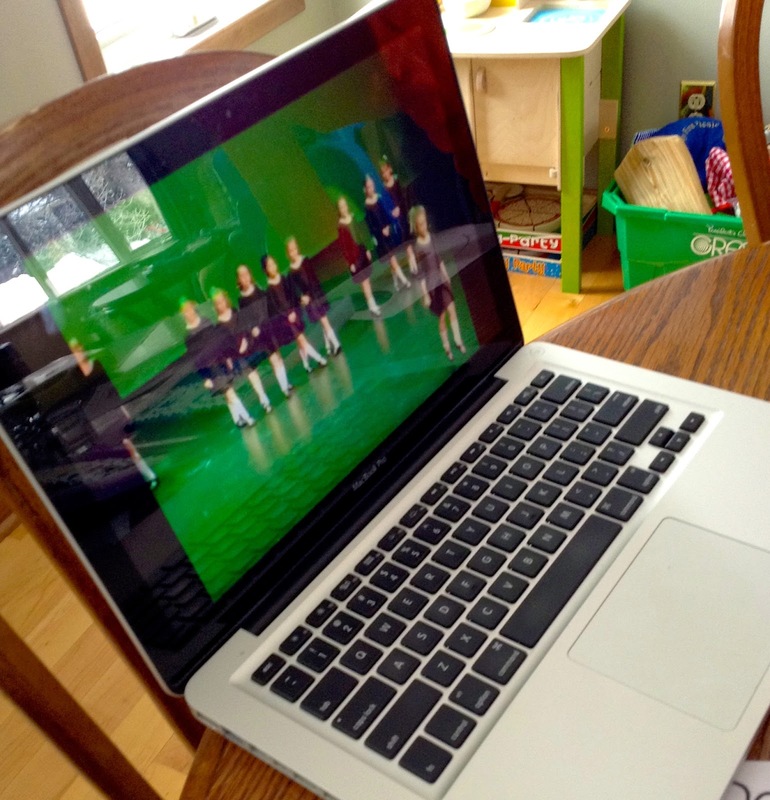 After crafting, the boys and I watched a SuperBook video with a scene showing Mary anointing Jesus with perfume. 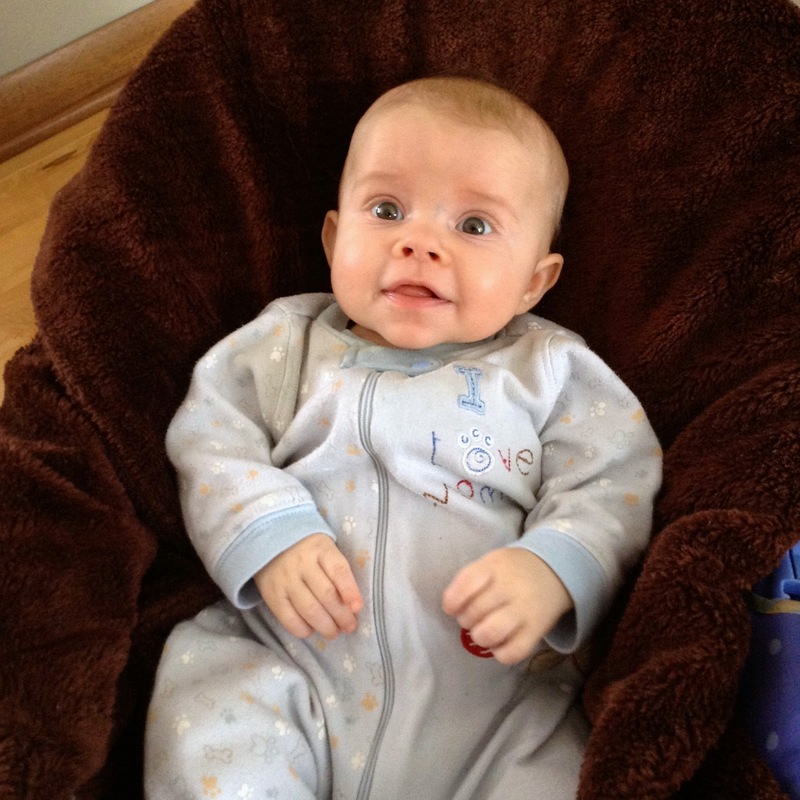 Again, this was an add-on of my own. 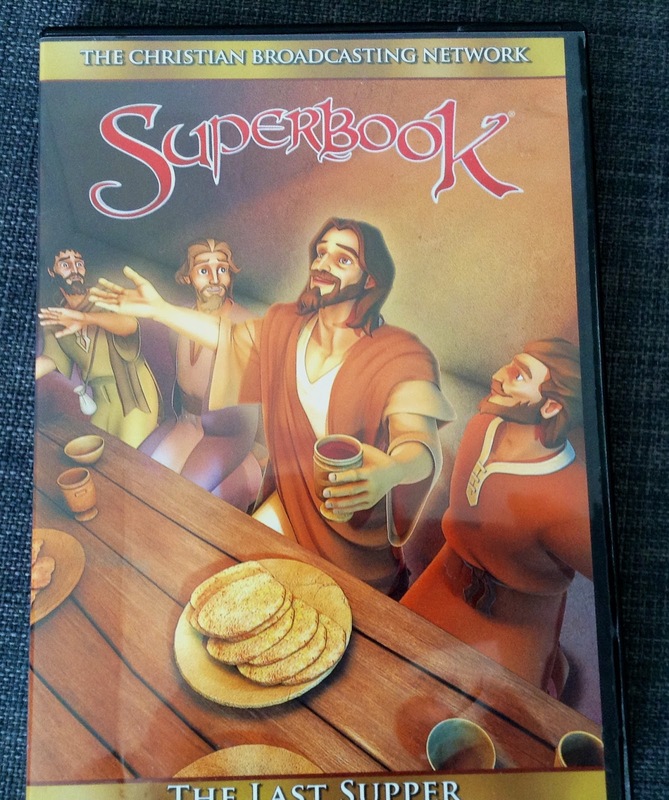 You can buy the SuperBook videos here. The second story was from Matthew 21:1-11, about the triumphal entry of Jesus into Jerusalem. 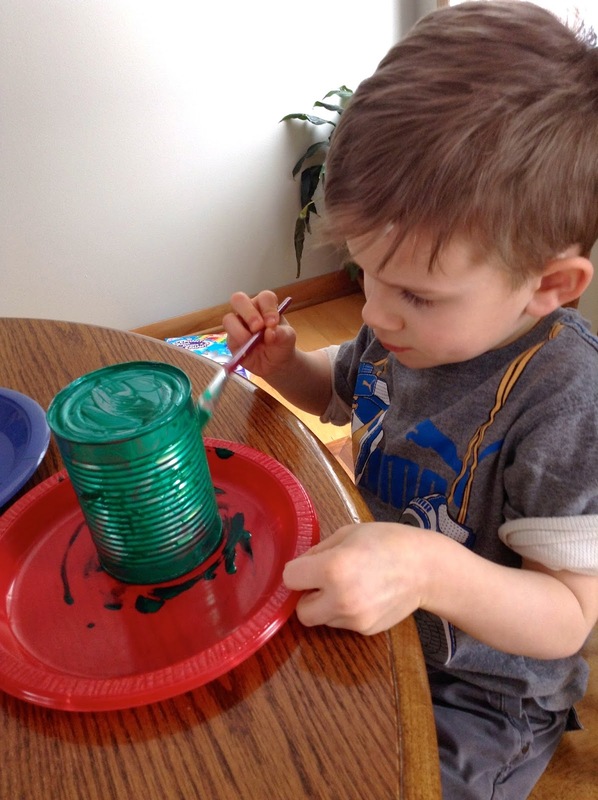 We made wind chimes out of tin cans painted green. They didn't turn out and I ended up throwing them out in the end. 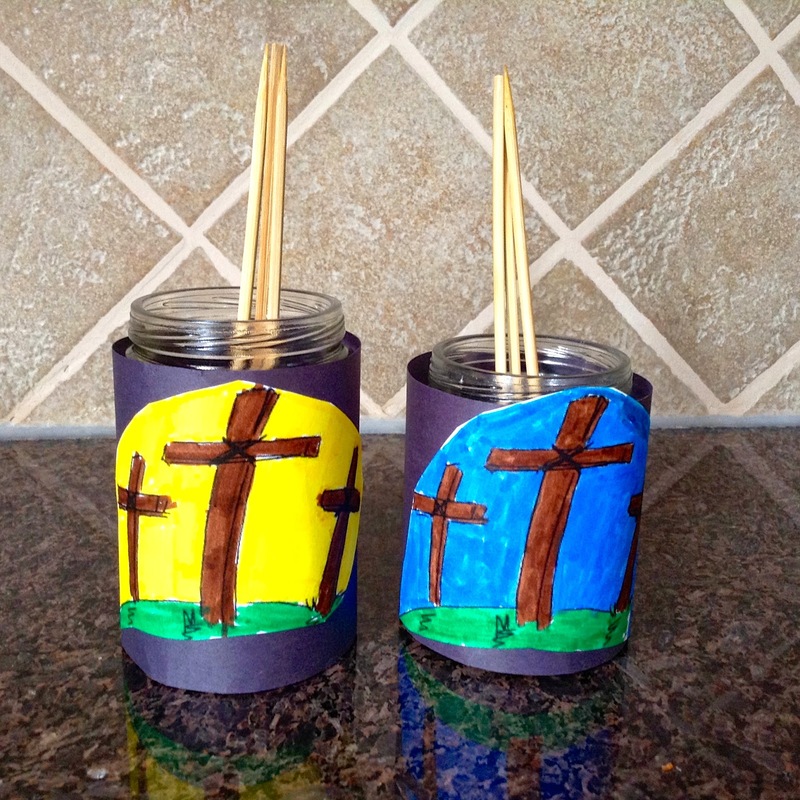 The idea was that every time we heard our wind chimes blowing in the wind we would be reminded of the truth of Jesus' mission to save us from our sin. Practically though, our wintery Canadian March isn't the season to be outside hearing wind chimes. Next year I'll come up with a craft more suited to the frigid north! A close-up of one of the Holy Week pictures on our dining room wall. St. Patrick's Day falls in the Lenten season, so we did a little with that as well. 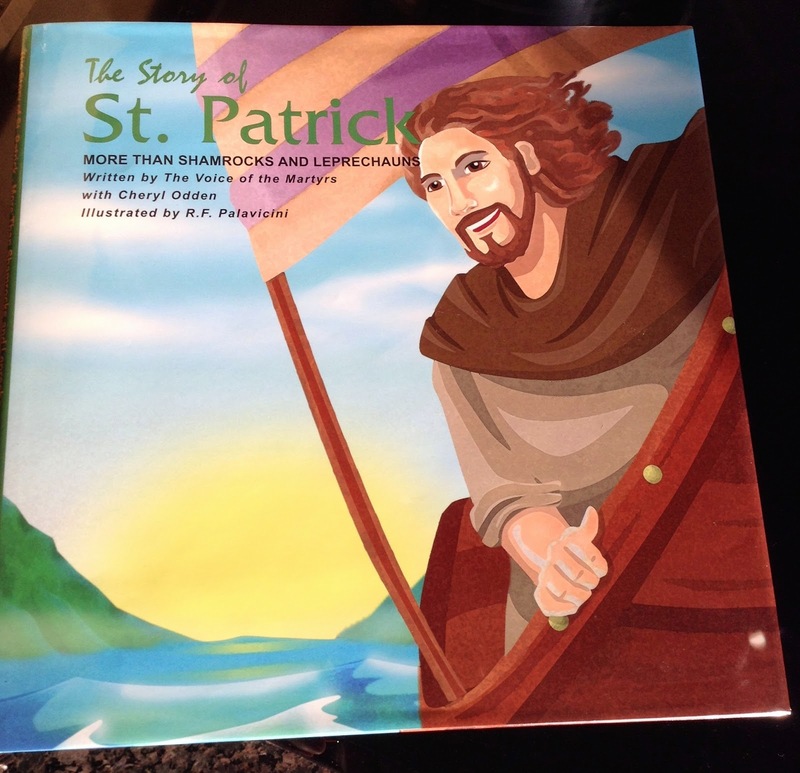 We have a book about the true story of St. Patrick, which is at least as exciting as Leprechauns! It's full of pirates, risk, and an adventure that really inspired my little boys. 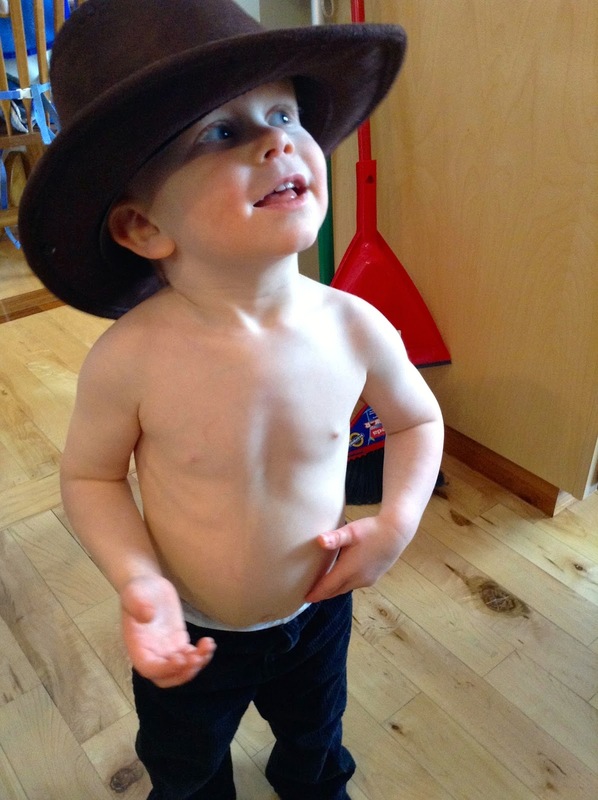 Abishai told me later that he wanted to be just like St. Patrick. You can purchase it here. 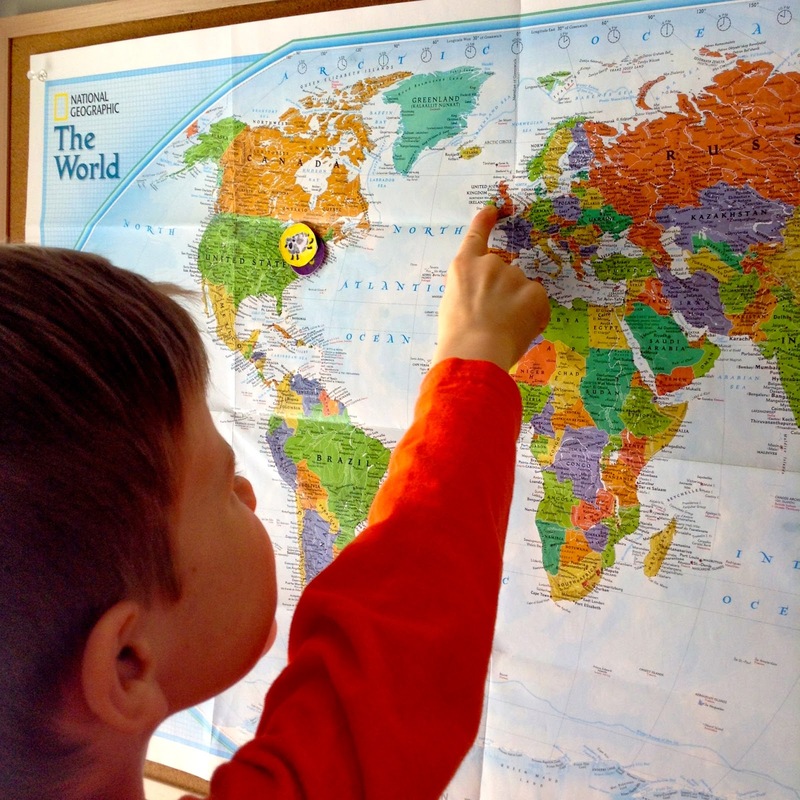 We found Ireland on our world map. 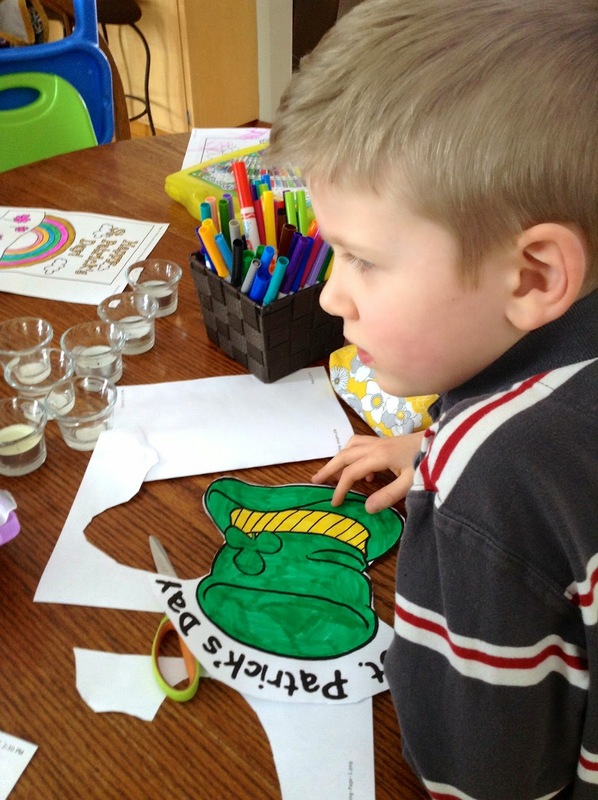 We also tracked St. Patrick's journey from his homeland of Britain over to Ireland. What's St. Paddy's Day without some Irish music and dancing! 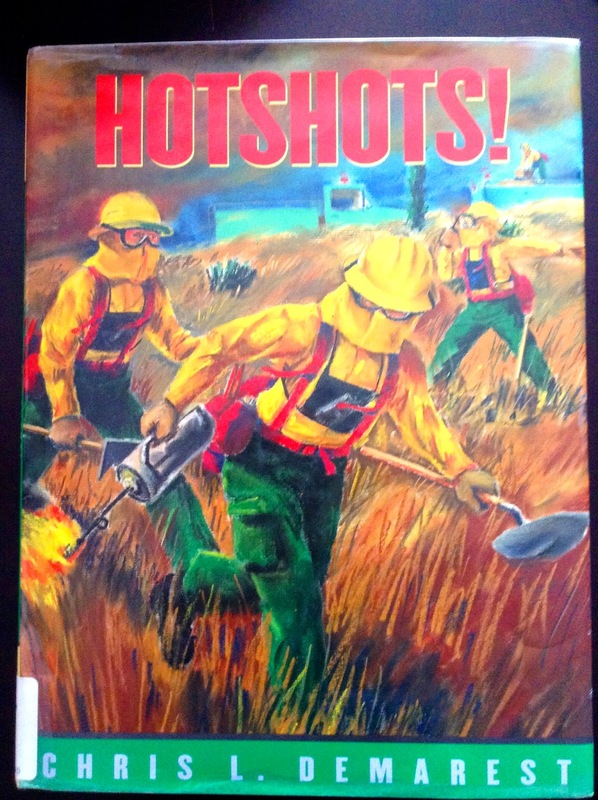 For our studies this week we explored fire and its dangers. The boys were really engaged during this one. We started off with No Dragons for Tea. 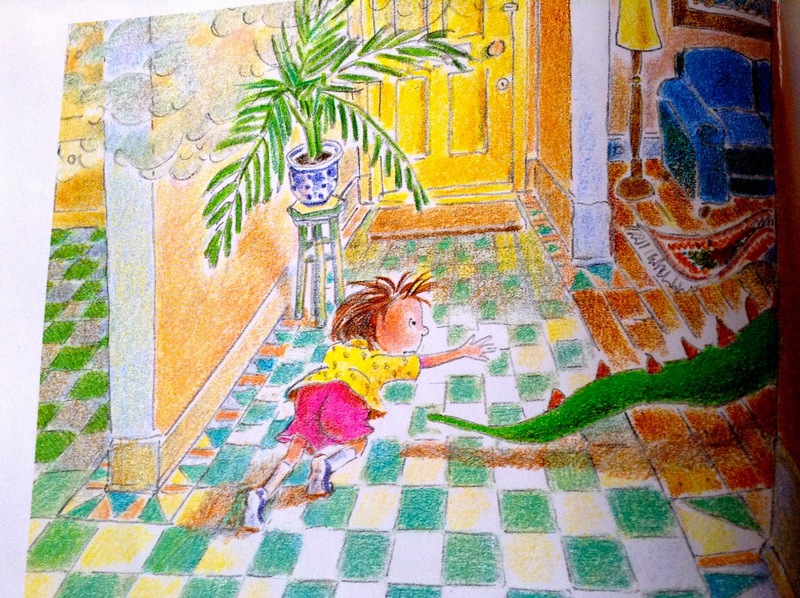 It's about a little girl who meets a dragon and brings him home for tea. While he's over, the dragon accidentally sneezes and starts a fire. 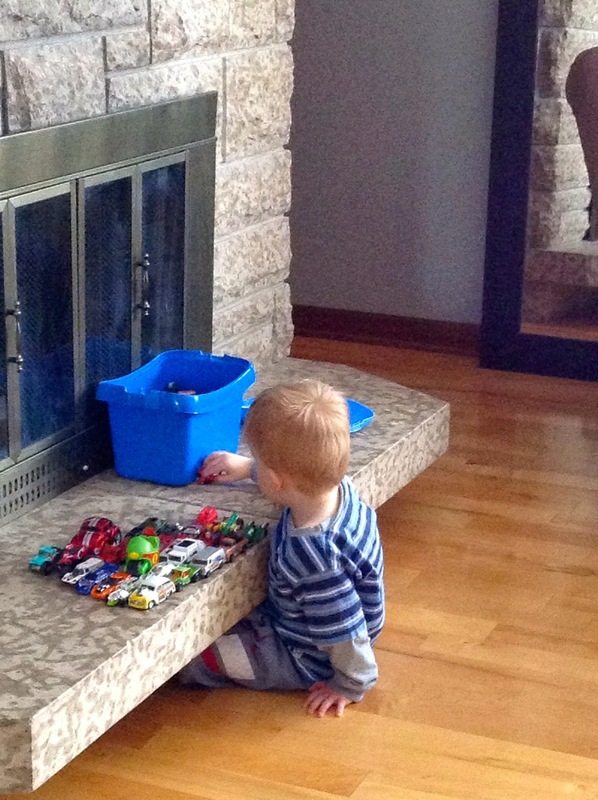 The rest of the story talks all about fire safety. 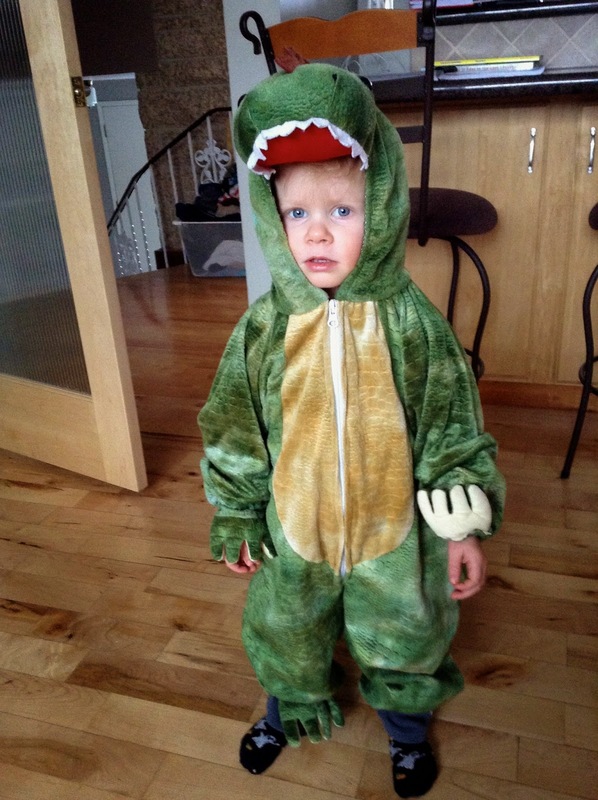 We ended up having our own dragon for tea! 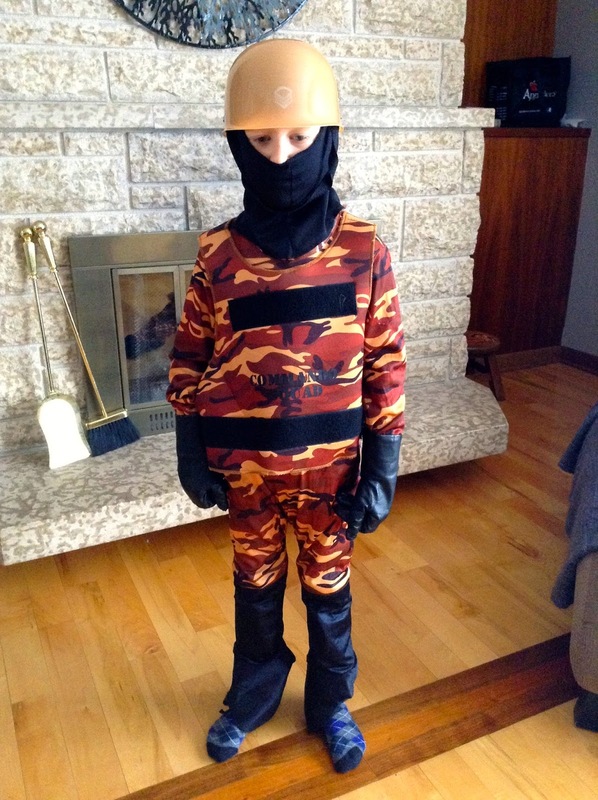 Abishai really liked the book, Hot Shots, and scoured his costume bin to find anything that would resemble a Hot Shots uniform. I thought he did pretty good and he played this for two days straight. We talked a little about fighting fire with fire and what a backburn was. 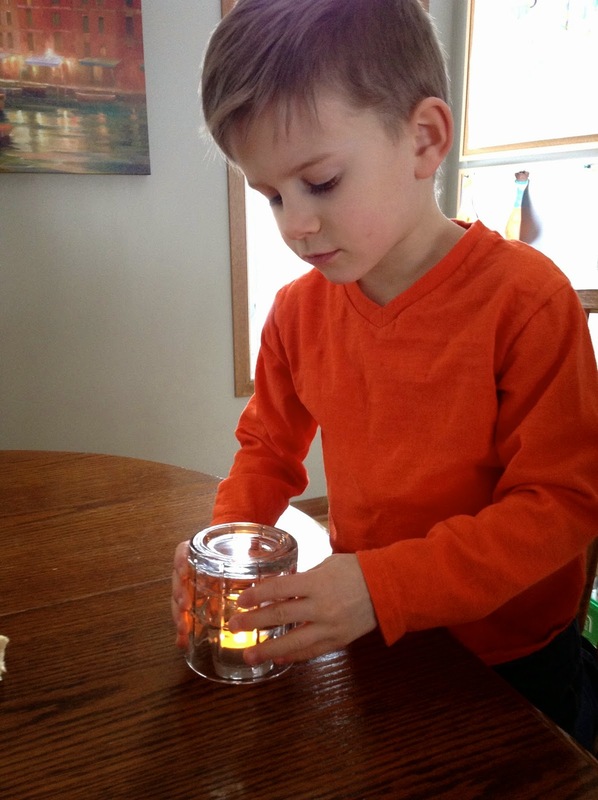 We discussed what to do if we encounter a fire in our house. We talked about all the possible ways we could get out if there was a fire and where we would meet once we were out of the house. We discussed the importance of crawling beneath the smoke on our way out and how to stop, drop and roll if our clothes caught on fire. 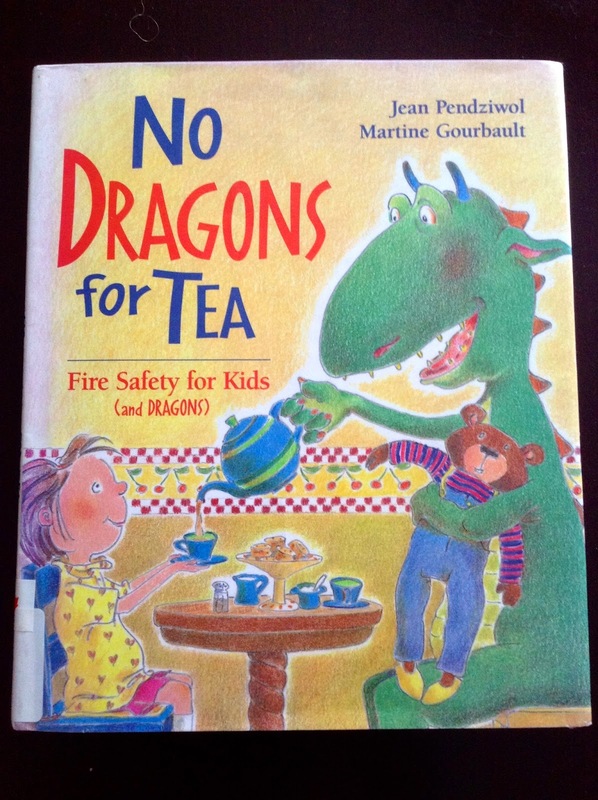 Our No Dragons for Tea book even came with a Fire-Safety Rhyme. We talked about the two things that fire needs to burn: a fuel source and oxygen. If one or both aren't present, then fire can't happen. 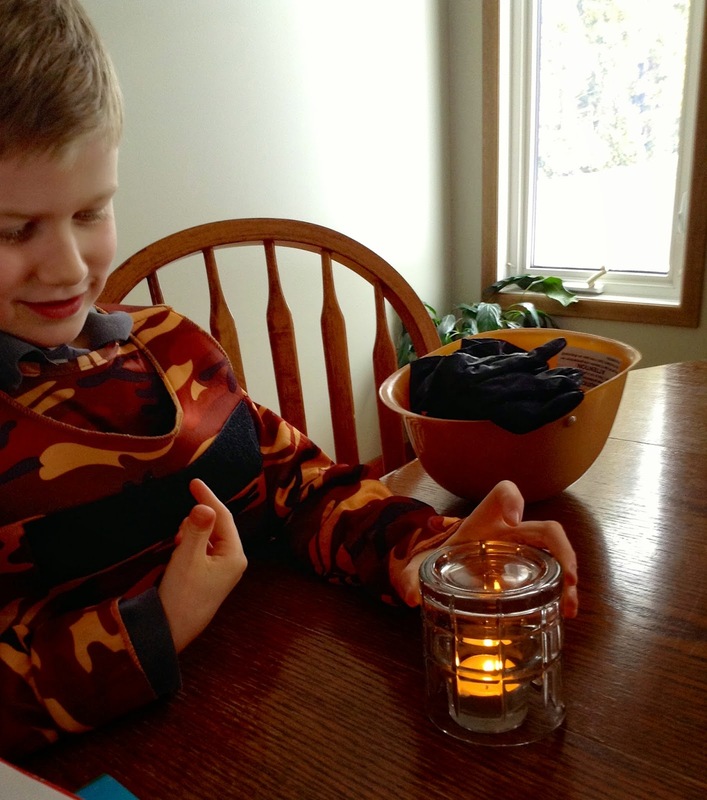 For a little science experiment we removed the oxygen from this candle. We also read some scripture describing Jesus as a consuming fire. We talked about Moses and the burning bush. We asked questions about how the bush could be on fire without being consumed. The fire had fuel and oxygen, but still, the tree didn't burn up. The wonder of God shone in the boys' eyes. 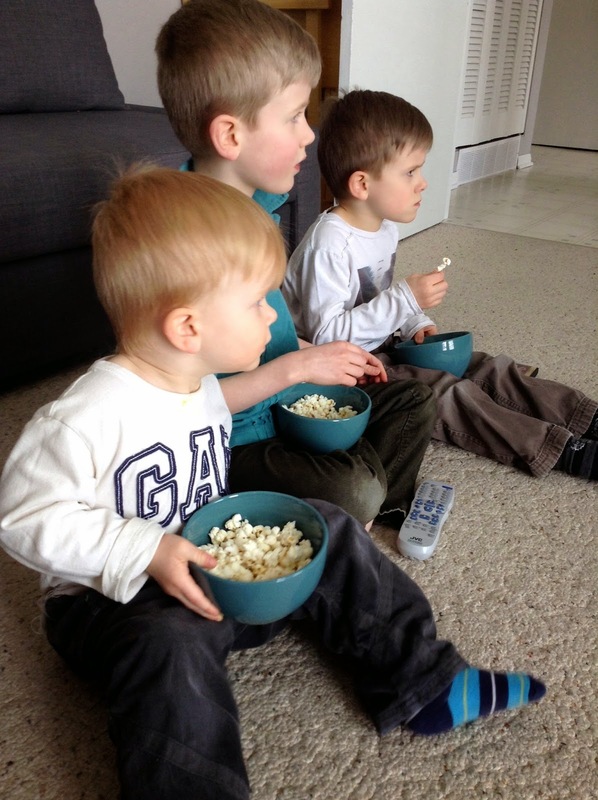 Later, they watched a SuperBook on Moses and the burning bush. You can watch the movie trailer on it here. 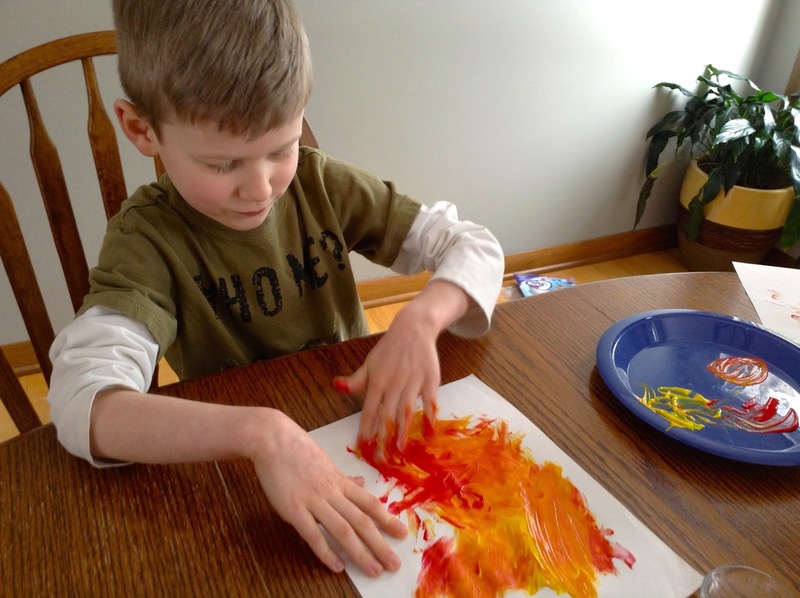 We also did some finger painting with the colours yellow and red, mixing them together to make orange––the warm colours of fire. We discussed what warm and cool colours were. I think it was their first time fingerpainting! 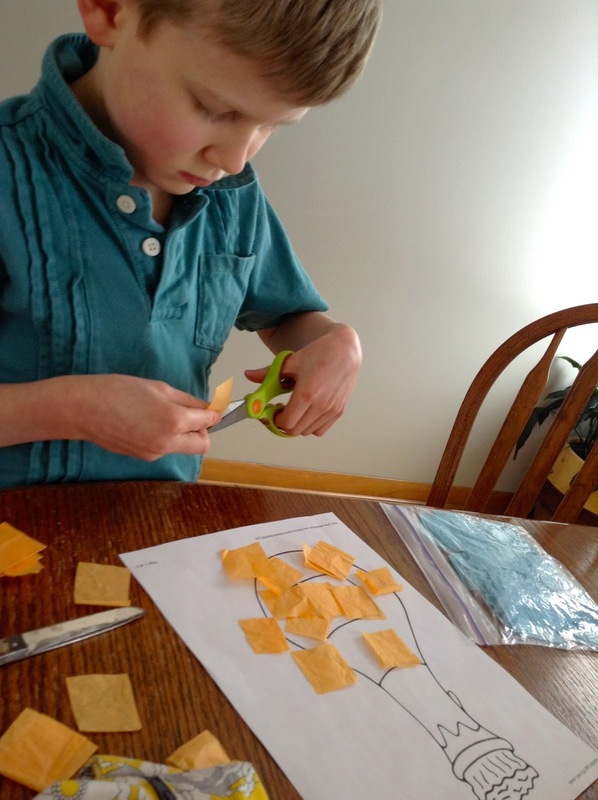 While we were busy homeschooling, this is what Asher was up to. 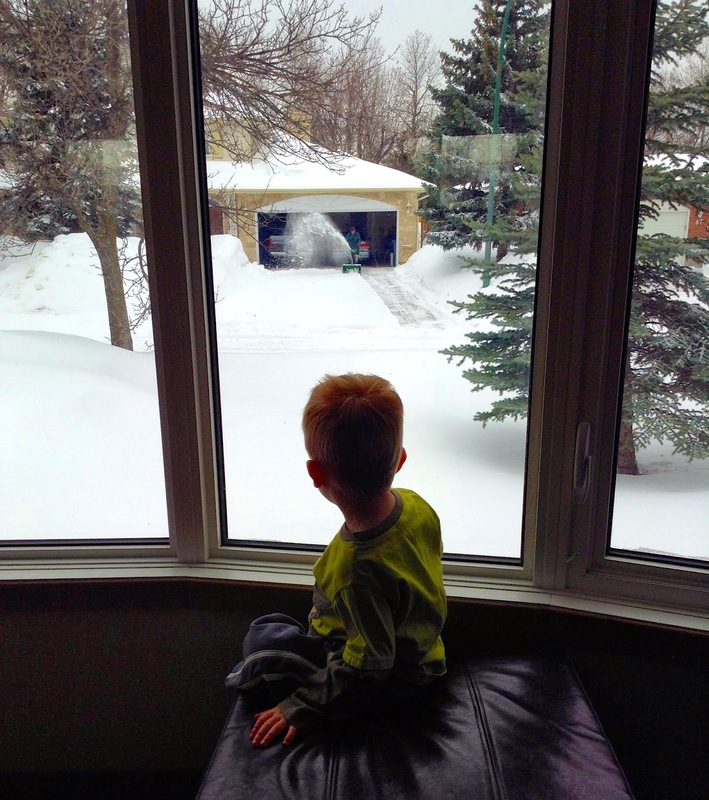 Snowblower watching! Well, we weren't homeschooling during his bed time, but here he is reading The Action Bible with his book light. And of course Gilead! He sleeps a lot so there aren't a lot of pictures of him in action... yet!